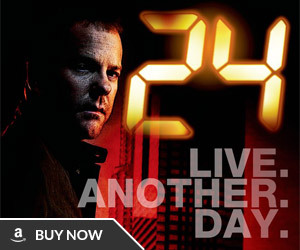 Robert Cochran, the co-creator of 24 is returning for the upcoming “event series” 24: Live Another Day as writer and executive producer. Cochran (along with Surnow) had left the series after the writers strike during the seventh season in 2008. His return is great news for fans of 24 as Cochran has written many of the series finest episodes including George Mason’s emotional farewell in the season 2. Add Bob Cochran to the list of high-profile 24 co-creators returning to the Fox franchise’s upcoming event-series reboot. 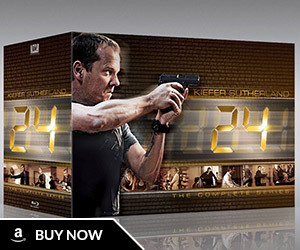 The Emmy Award-winning executive producer/showrunner Cochran will serve as executive producer of 24: Live Another Day. Cochran, whose credits also include co-creating the La Femme Nikita television series, most recently wrote the Starz pilot Pinkerton, based on the famous 19th century detective, Alan Pinkerton. He is repped by APA. Fox in May announced Kiefer Sutherland has closed a deal for the event series at its upfront presentation in New York City. The continuation was pitched to Fox by longtime 24 showrunner Howard Gordon (now executive producer of Showtime’s Homeland). His 20th Century Fox TV-based Teakwood Lane is co-producing with original series producers Imagine TV and 20th TV. It’s one of two event series the network unveiled at its upfront confab — the other being M. Night Shyamalan’s Wayward Pines starring Matt Dillon. This is such exciting news – it’s great to see that Fox has got these great guys on board to deliver a (hopefully) mighty exciting return to 24! That is really a great news because he was the co creator with Joel Surnow, he wrote the best seasons IMO ! Great news indeed! 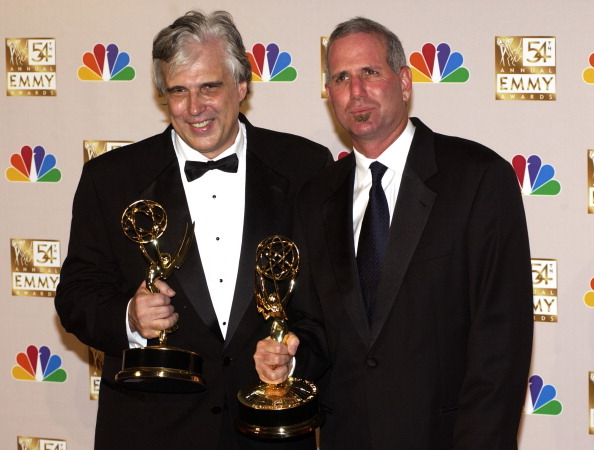 When Joel Surnow and Bob Cochran handed over the running of ’24’ to Howard Gordon from the sixth season onwards, you could tell by the content onscreen… it still was damn good overall but those two created television magic those first five glorious seasons! Awesome Wonder why surnows not Joining in? But at least one of em’s back. That will definitely make the story all the more better. Is someone know why Surnow and Cochran left 24 in the beginning of season 7 ?????? oops sorry for my bad English, I mean mean does anyone know why Surnow and Cochran left 24 ? I think Cochran left early in Season 7 because his contract with FOX Television expired around the making of Season 6 sometime and he stuck around to help them with cracking the story for the seventh season, once they had the remaining sixteen episodes of that season nailed down and mapped out in advance after the writer’s strike, he left to work on other projects… but now he’s back, and thank goodness too, he was sorely missed! I agree I’m glad one of ems back. Joel Surnow is writing and directing his first movie titled “Small Time” so I doubt he has much free time unfortunately. 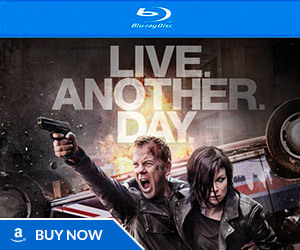 A return to 24 seems unlikely for him. I’m pleasantly surprised Cochran even came back. I’m also surprised Cochran came back. I’m not rich but I guess I find a bit strange why you would leave your own project. But you can do that when your rich. But at least one of ems back & that’s very good. Surnow may still act as a consultant. & that’s assuming he’ll be involved in some form. Joel Surnow’s upcoming film ‘Small Time’ is already shot and recently inked a distribution deal back in April this year, so he’s probably still busy with that project, but he’s still probably with ’24’ on a tangential level as a creative consultant, pinch-hitting ideas with the writing staff, he’s also very likely enjoying not being shackled to a network contract, and having the freedom to pick and choose his projects at will, and in all probability doesn’t want to give that up, and who can blame him? I’m very pleasantly surprised that Bob Cochran came back too, but it’s been a full five years since he initially left the show, and he did what he wanted to do in the interim, so maybe he’s back because he genuinely wants to come back and maybe even came to miss the show he helped create… I’m just glad he’s back whatever the reason, it will make the upcoming new series an altogether better one by his involvement, and that’s what matters in the final analysis! Yes I’m also surprised… he’s back it’ll make the mini-series a lot better there people get on board. As I said you can do those things when your rich. @Gerry Mander thanks so much for the article. I’m very glad too to see Cochran on board, but if Surnow would join it will be perfect!